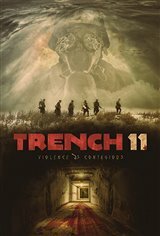 When the British army discovers that the Germans have been constructing an underground bunker during World War I, they send men in to check it out. The soldiers find evidence to show that not only have the Germans been killing their own men, but the bunker has been sealed — not to keep people out, but to keep them in. When the soldiers open up a door that they believe may hide German soldiers, they're surprised to find that the Germans have been conducting biological and chemical experiments on their own people, leaving them infected with aggression-inducing parasites.